I’ve recently started to record bird songs using a Panasonic mp3 digital recorder and have been using it to call-back with it’s decent audio speaker. I will try to frequently post songs and accompanying photos of the birds singing when possible. Here is a song of a Grey-capped Warbler (Eminia lepida) that I recorded in Eldoret, Kenya during an urban birding session. The Rufous-naped Lark’s head is coloured brown as well as the bill. 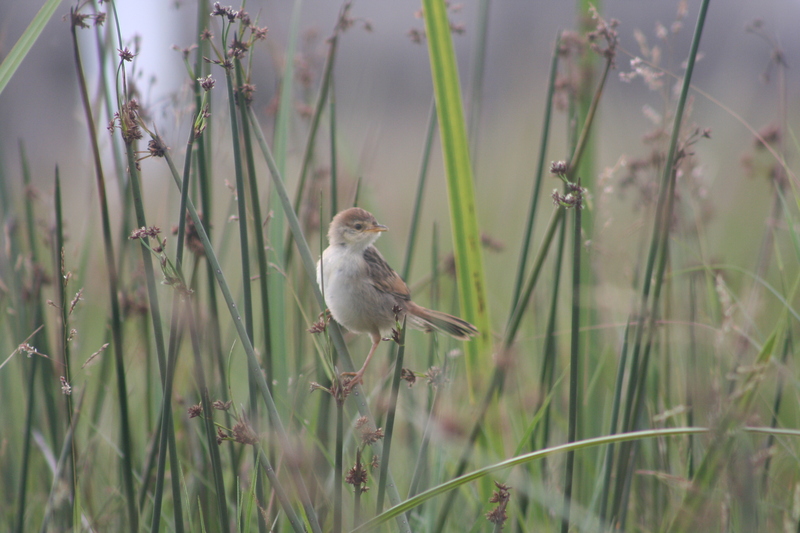 The Mirafra Africana has a white coloured throat, pink legs and a brown coloured back. The eyes are brown. 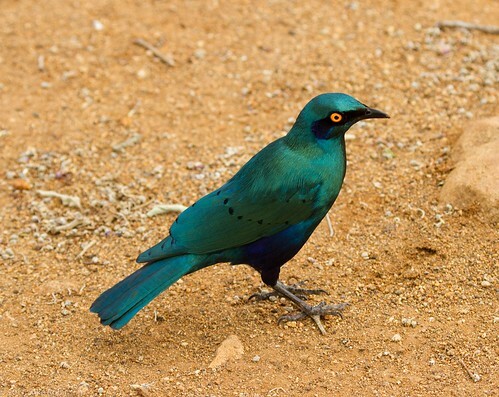 The male Mirafra africana has physical features that are slightly different from the female bird. 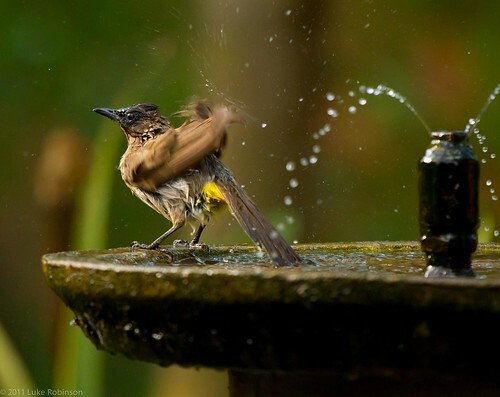 When the bird is excited it has a richly striped rufous crown. In most observatory incidence the bird tends to call from a raised platform or rather on top of a medium sized tree. 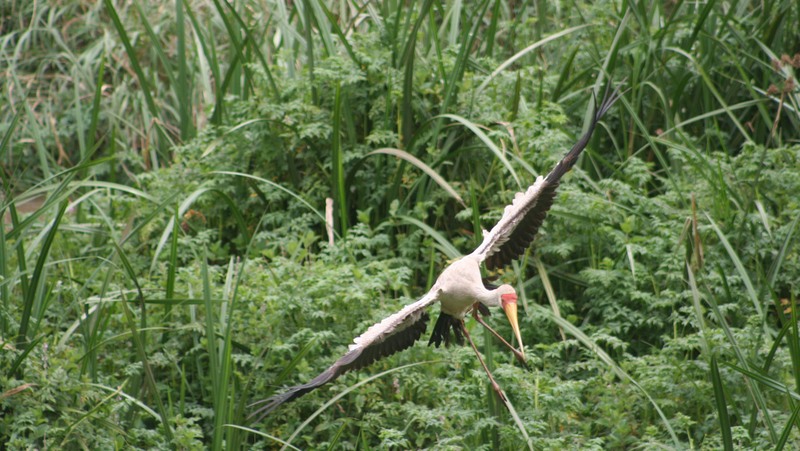 In Kenya, the bird is widely distributed in areas around central Kenya, Lake Naivasha, Maasai Mara and Amboseli National park. 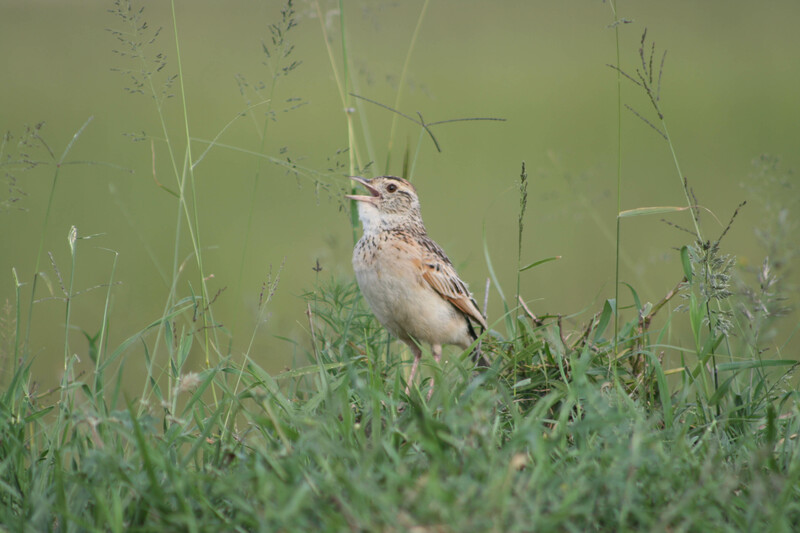 I recently spotted this Rufous-naped lark in the Maasai Mara National Reserve and recorded it’s song. 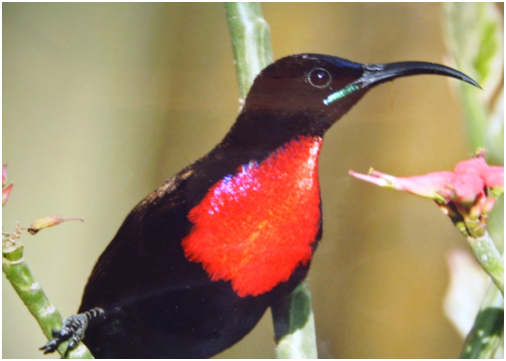 Hunter’s Sunbird is widespread and found in most dry areas of Kenya; especially in wooded and bushed grassland, it will however avoid very dry desert-like environments. It can easily be mistaken for the Scarlet-chested and Amethyst Sunbird. 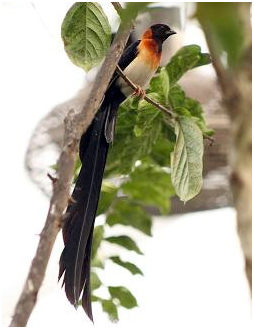 The adult male is a non-reflective velvety black, with more brownish on the back, and a glittering green crown which appears turquoise; the throat as well as the patch on the bend of the wing is metallic ruby or rose-purple. 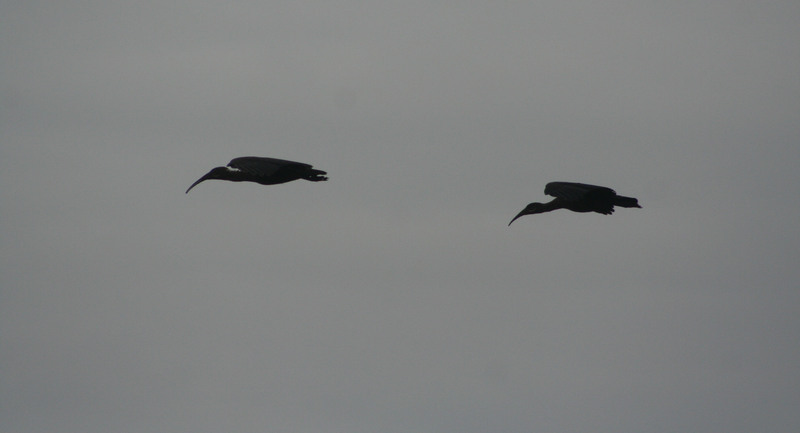 The female is grey-brown above with white edged coverts. 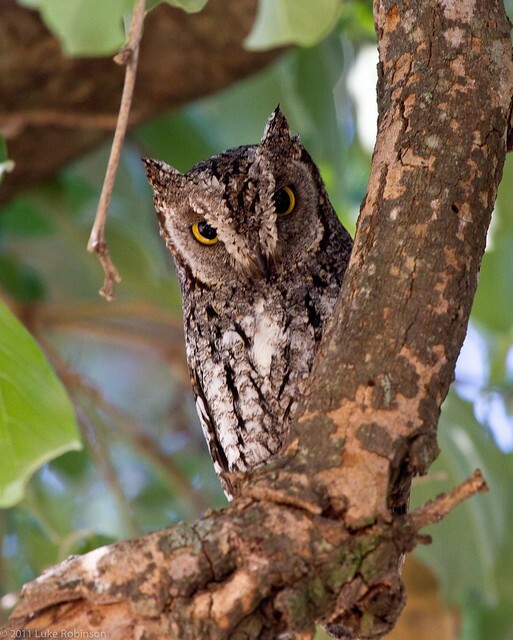 The under part is dull white, strongly mottled with sepia-brown on the throat and breast, more faintly on the belly and flanks washed brown, with chin and throat appearing darker . It has a habit of being shy and solitary. It is widely distributed in dry areas like Samburu and Shaba National Reserve, Lake Baringo, Lake Bogoria and Kerio Valley. I bird everywhere! 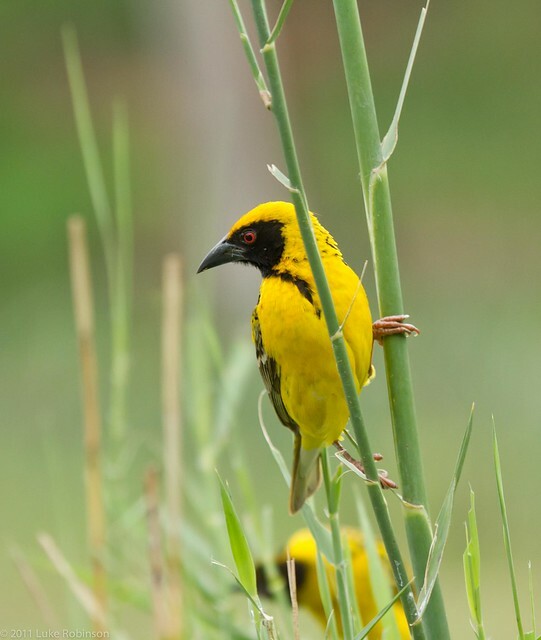 Even in the urban landscapes of Kenya, in locations where one wouldn’t expect to be birding, it is possible to spot species with a keen eye. 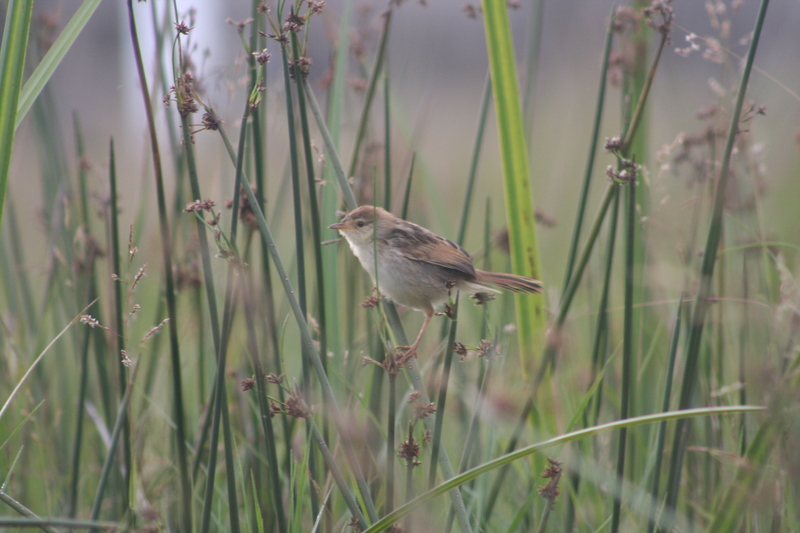 I spotted this Winding Cisticola on the outskirts of a residential area of Eldoret on an evening walk. Coming soon your ‘Bird of the Week‘. 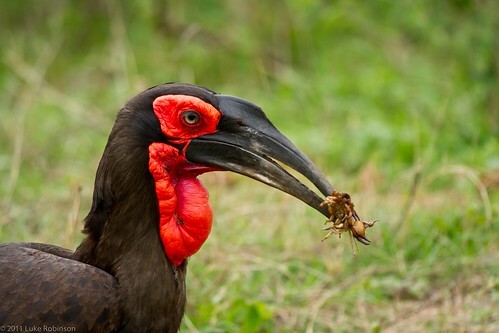 Although this is not Kenya or East Africa I couldn’t resist posting these incredible photographs of birds by Mortal Coil in Kruger National Park South Africa. 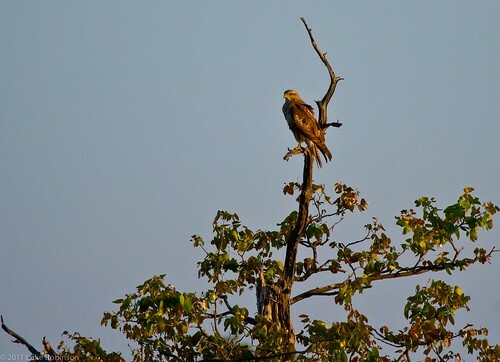 On our self-drive safari adventure in Kruger National Park (see previous entry on the “Big Five” here) we were amazed at the sheer variety and exoticism of the birds we saw. 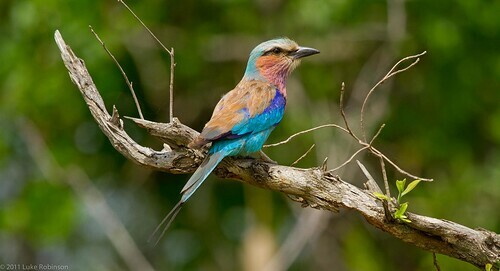 Apparently over 400 species (resident and migratory) call Kruger home, at least for part of the year. 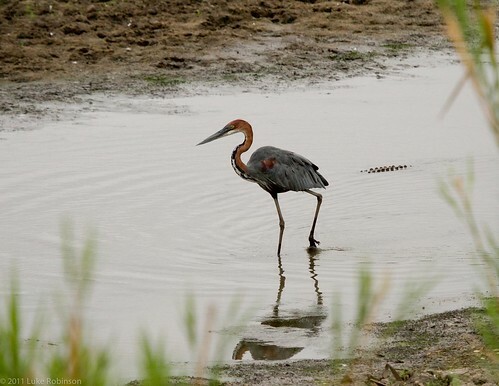 The park is really well set-up for birdwatching, with many hides set up next to waterholes and so on, and while I would not in any way call myself a twitcher, I did at least take an interest in what birds crossed paths with me, which is more than I can say at other times in my life. 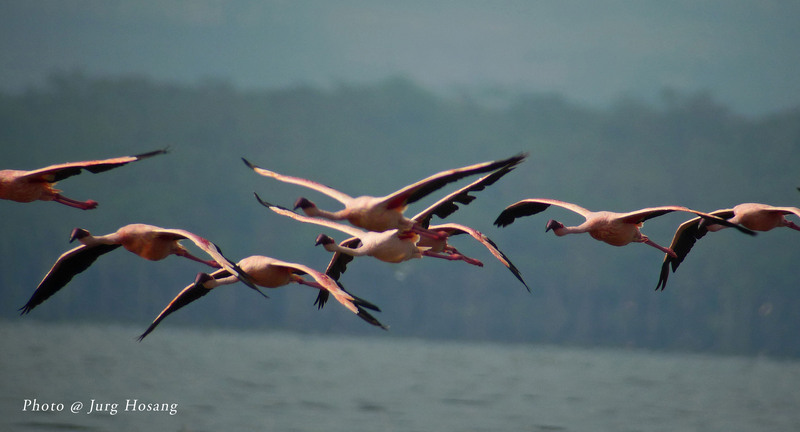 Soaring in the East African skies and magical Kenyan landscapes. 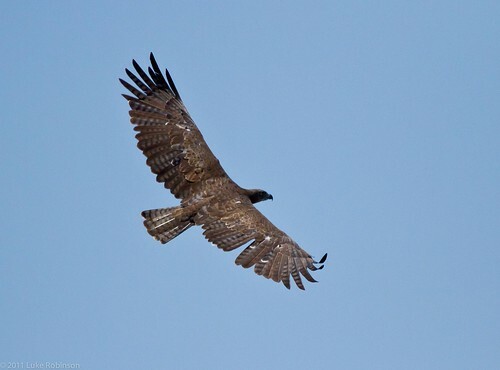 Some fantastic and inspiring photographs of birds in flight. Have a great birding day!